Where and how did they confirm? Dragon frame confirmed for Warframe 2 con-firmed. Wow this frame is realy good. Never seen it before is it new? Yea I totaly agree with you. Yet another great designer these drawings are greatif I knew you designer peeps I would take an art class from u guys and design some stuff too!!!!! Just do trial and error and make drawings. 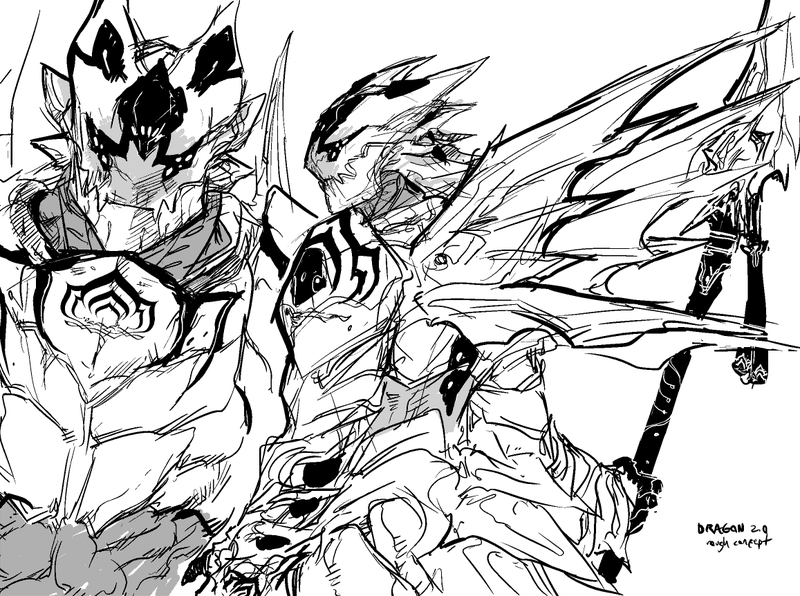 You know for some I don't know why, but after looking and admiring the Tenno warframe Dragon's many designs. It's beginning to resemble a lot to this pic I see most of the time. Seriously, am I the only one who sees the resemblence between the two? I like the one endrian made better tbh. I'm back. I haven't touched this game for over a year now. 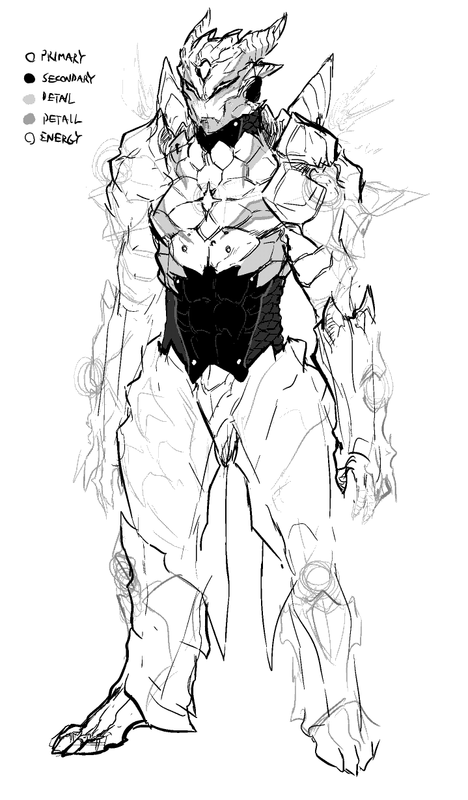 A quick rough sketch of the small changes I'm considering. 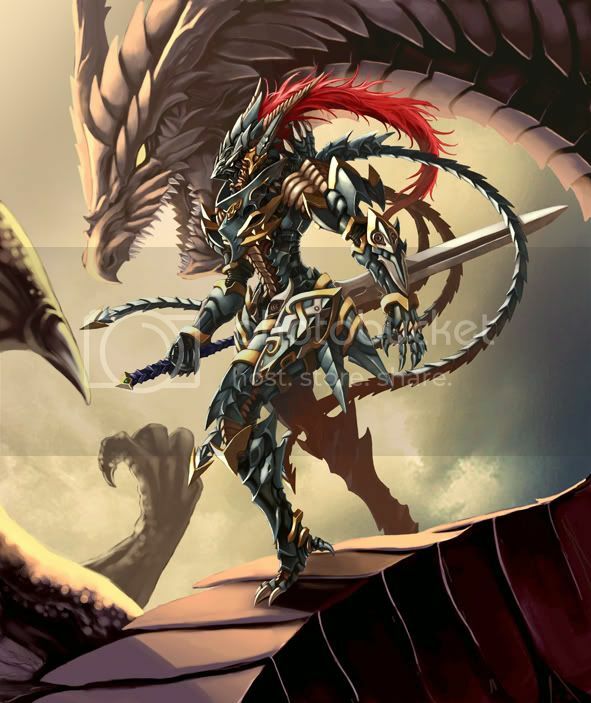 Also, as far as names go, if I do a "dual-stage" Warframe, he might well have two names, and if he does: Siegfried while grounded (with a more "knightly" set of abilities), Fafnir while in Rising Dragon (with the more appropriately "dragon" abilities). Maybe. Everything is always in a state of "maybe, maybe not, we'll see." Back again. Seeya in a few weeks. So DE you still have your in the sands? 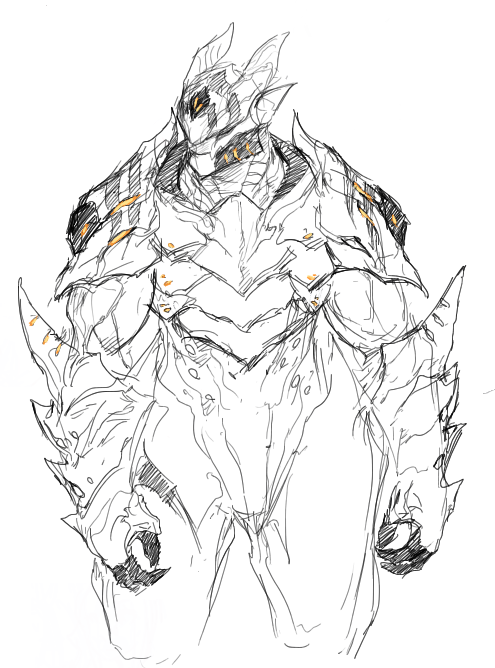 How would a prime version look like? I just love your art style and would realy like to see what you'd make of it. I know you're reading DE. This needs to be made.